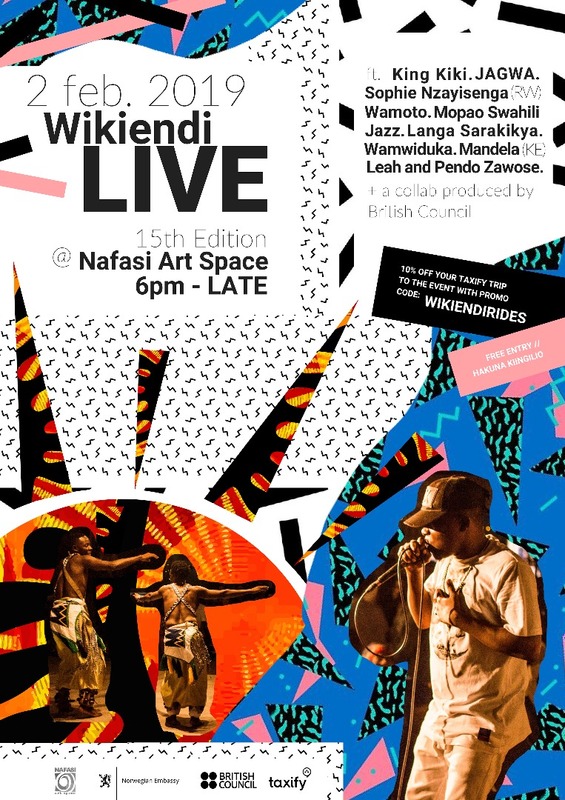 The next Wikiendi is coming up on the 2nd of February, featuring a massive line up of poetry, live music, DJs, and a special collaboration between international and local artists supported by the British Council. This edition, the collective’s 15th, will be held in commemoration of the late Jackie Simela of local Mchiriku group, JAGWA, a talent lost but forever remembered for his artistic contribution to Tanzania. Alongside JAGWA on the lineup will be King Kiki, Ambasa Mandela, Wa Moto and many more! It will be a celebration of the rich and diverse soundscape of East Africa that is not to be missed – with free admission, and 50% off Taxify rides to the Nafasi, making the event undeniably enticing. See you at Wikiendi LIVE! Saturday 2nd February from 6pm till LATE! Wikendi ya 2 Februari itawaletea tamasha kubwa zaidi yenye mashairi, muziki wa muziki, DJs, na ushirikiano maalum kati ya wasanii wa kimataifa. Toleo 15 la Wikiendi Live litafanyika kwa heshima ya marehemu Jackie Simela wa kikundi cha Mchiriku JAGWA–kipaji kitacho kumbukwa milele kwa mchango wake wa sanaa nchini Tanzania. Pamoja na JAGWA, oroodha itawaletea King Kiki, Ambasa Mandela, Wa moto na wengine wengi! Wikiendi Live ndio hio! Usipitwe!